Our Seabourn cruise in the summer surpassed our expectations in terms of luxury, fine dining and of course service. We would however have liked some more relaxation as, being our first cruise, we tried to cram in as much as we could. 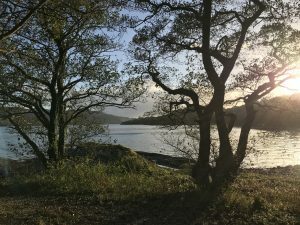 Days started early and ended late, so we knew we needed another type of break (or two) before winter took hold this year. Look out for our trip to Avernish Lodge, Kyle of Lochalsh later in the year, but first up was Crosple Cottage, Loch Melfort, Argyll. 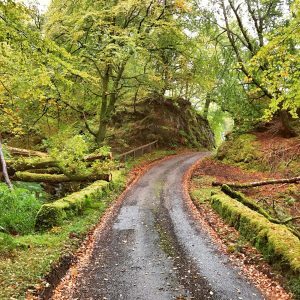 We’re so lucky here in Scotland – within just a few hours the car can be packed, and you can be on the road to many incredibly scenic and peaceful locations. 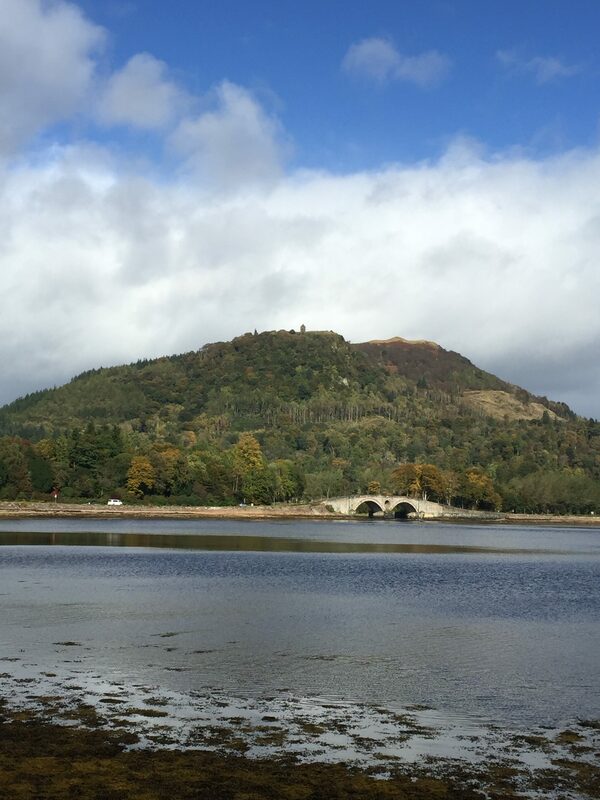 We stopped off at Inveraray for lunch and a wee stretch of our legs. 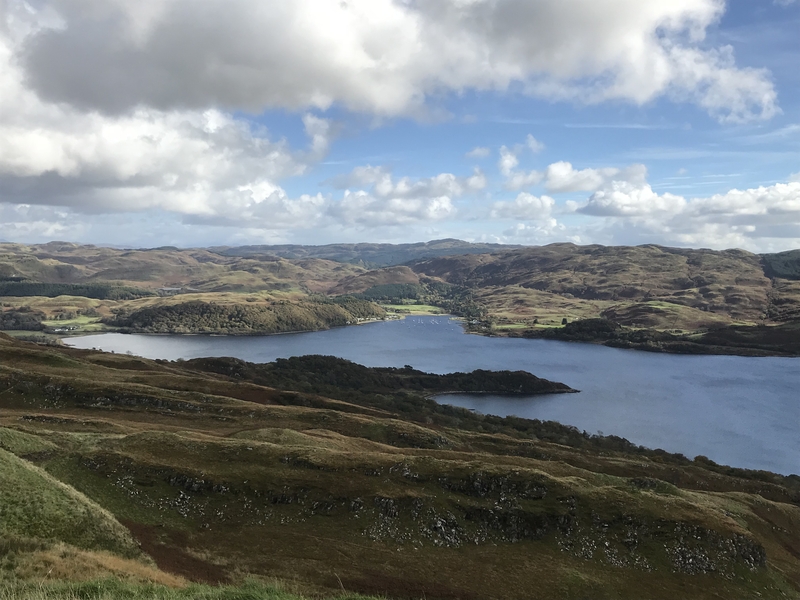 Check out the views from the top of Dun Na Cuaiche, the ascent certainly worked off a few of the added calories from the lunchtime fish and chips! When we reached the small village of Kilmelford just over an hour later, we knew we didn’t have far to go. 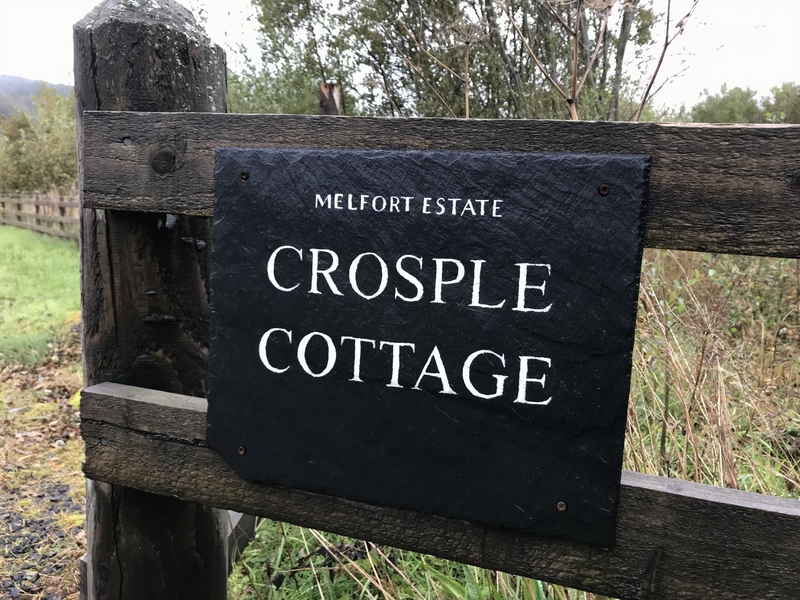 Crosple Cottage was just 2 miles further along the lochside, turning off the main road we ascended the final 400m via a farm track. The Cottage appeared round the final bend; our secluded hideaway for 7 days. 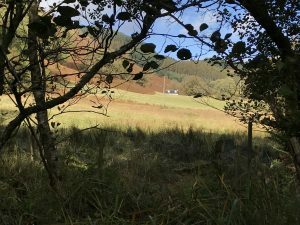 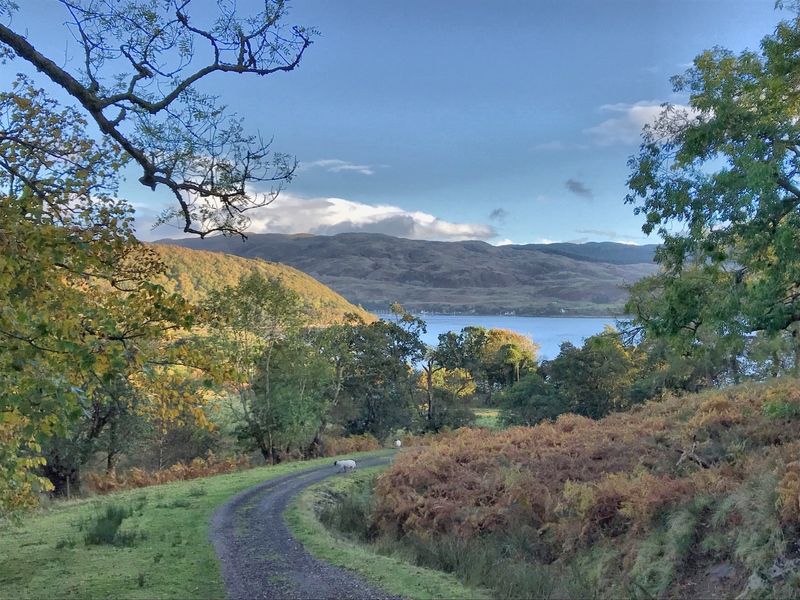 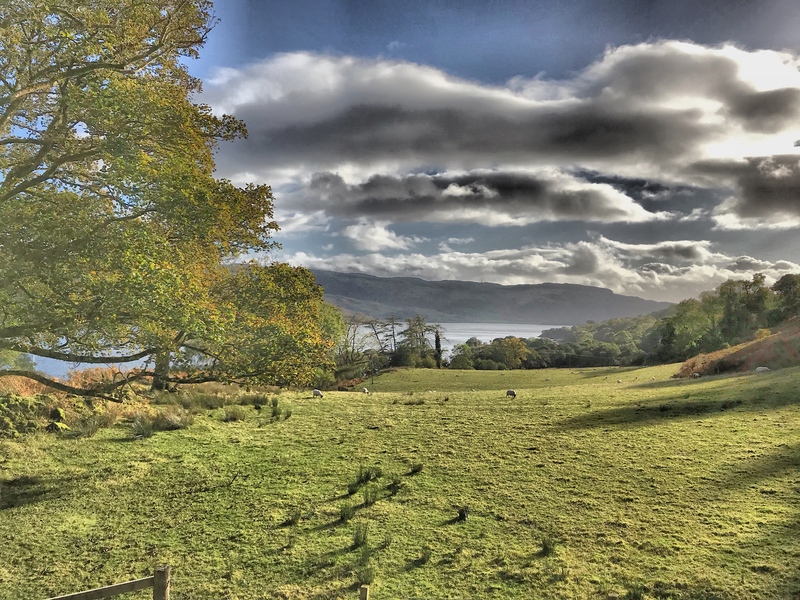 Crosple cottage has impressive views of Loch Melfort / Fearnach Bay and the open countryside, no neighbours (except the curious sheep), no interruptions, just peace and solitude with only the wildlife and each other for company. 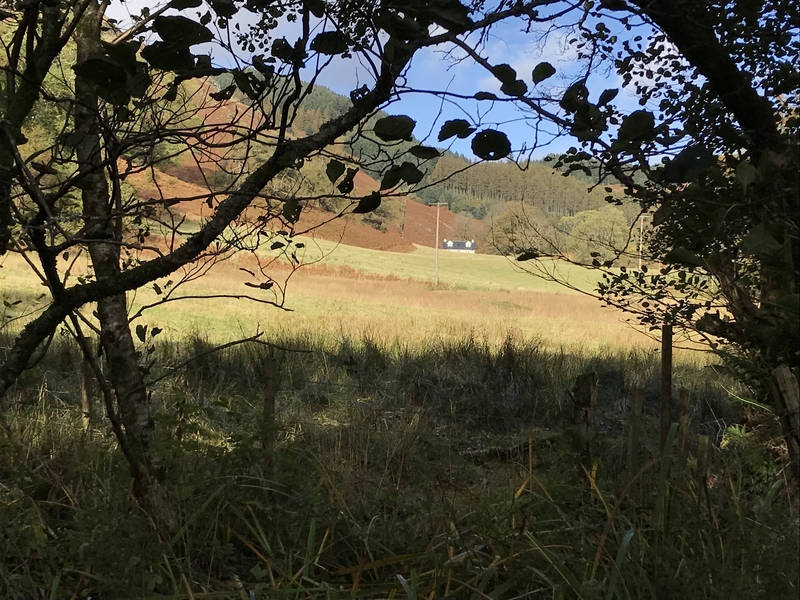 If you do manage a visit, do not panic if you hear the occasional noise outside in the evening, its probably one of the curious sheep who jump the wall into the cottage garden. 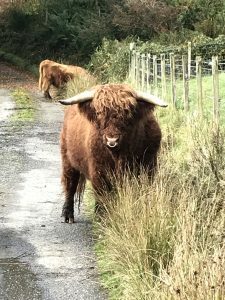 If only we’d known about that when we arrived, it would have prevented the scare we got as we shone our torch outside on our first evening only to be greeted by a glowing pair of eyes. 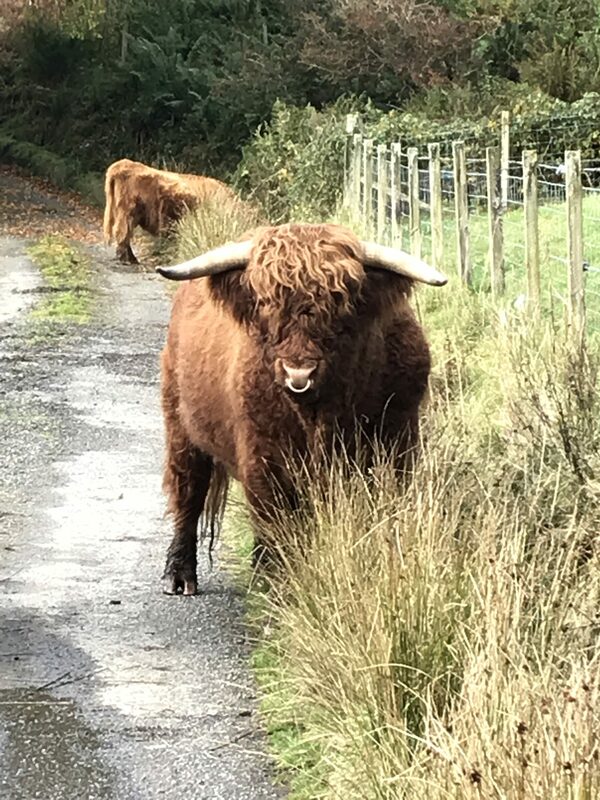 Watch out for this chap on your travels too – we were assured he was harmless! 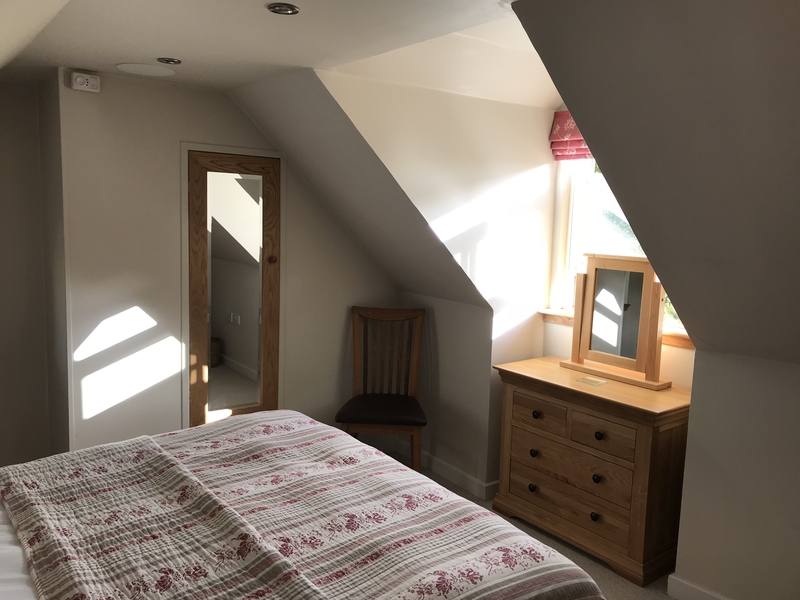 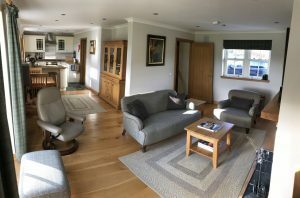 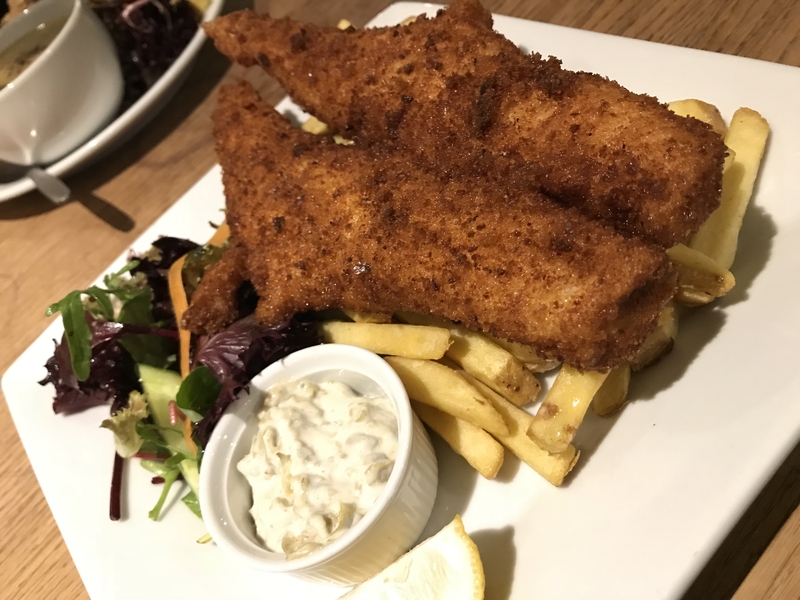 The ground floor of the cottage is open plan and well laid out with a cosy sitting area and a wood burner, small dining area and a very well-equipped kitchen. 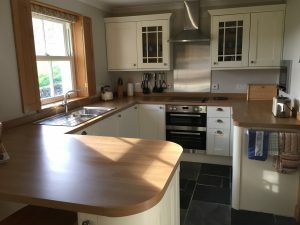 It was nice to see that sustainability is important to Rory and Jennie as there were clear recycling instructions for guests which is sometimes missing from properties we have stayed at recently. 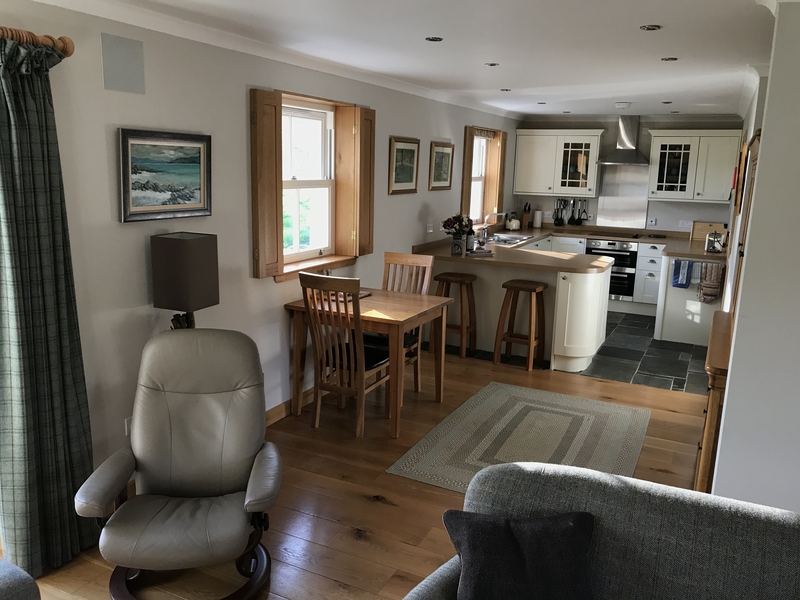 We had taken relaxation to a new level and had ‘batched’ cooked for our 7 day stay, so we just needed a few pots and of course a microwave to prepare our meals, but the kitchen is clearly equipped for the more adventurous chef to rustle up some culinary delights. The living area has french doors that open out onto a south facing patio with views down to Loch Melfort. 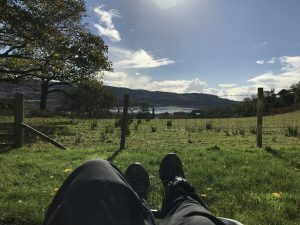 Despite the time of year, we were fortunate enough to enjoy the patio on several occasions during our stay. 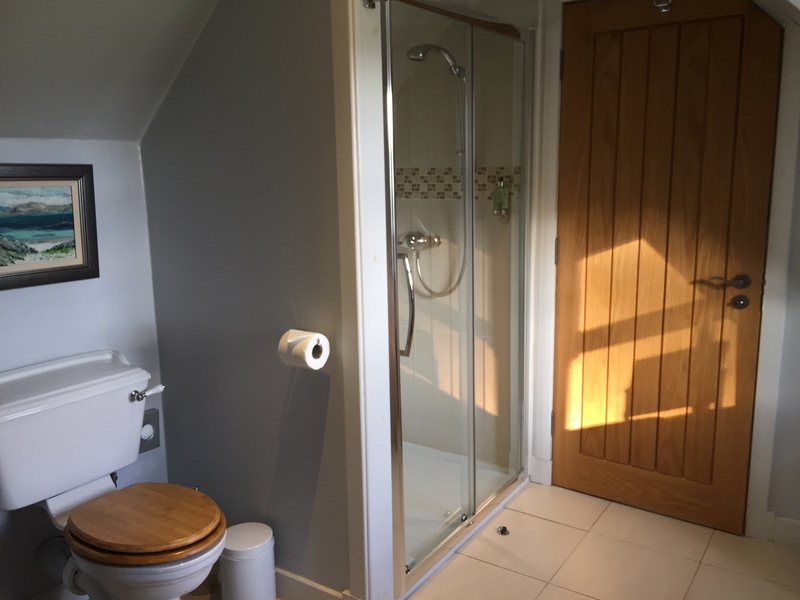 Off the hallway is a handy utility room with washing machine, tumble dryer and plenty of hooks for hanging up outdoor clothing. Upstairs there is a compact bedroom with a large king-size bed and a good sized bathroom both with stunning views down to Loch Melfort. 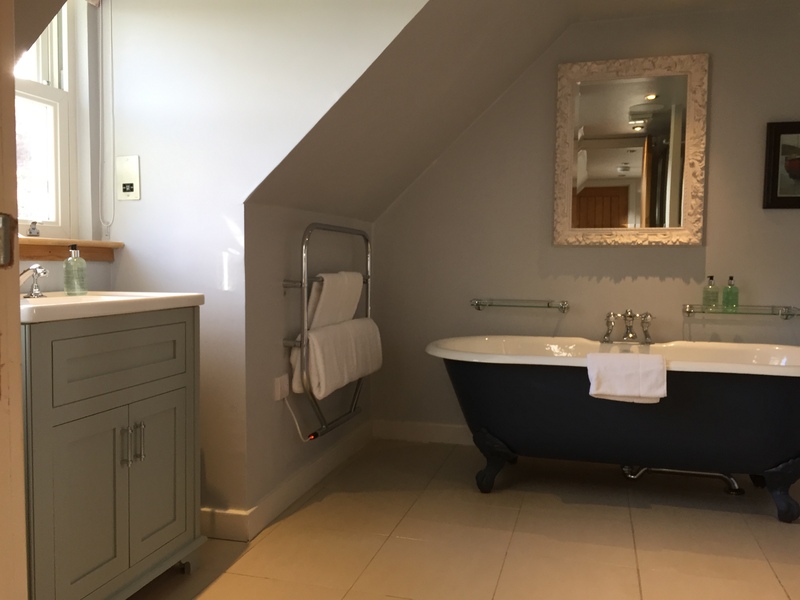 The bathroom has a large walk in shower and a deep cast iron roll top bath which is perfect for a soak after a day exploring; even big enough for two. It certainly helped us recover from our more energetic walks. 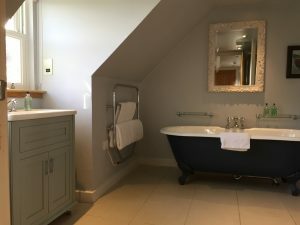 The underfloor heating, fluffy bath robes and Scottish toiletries added to the luxuriousness and created a real private retreat for us to enjoy. 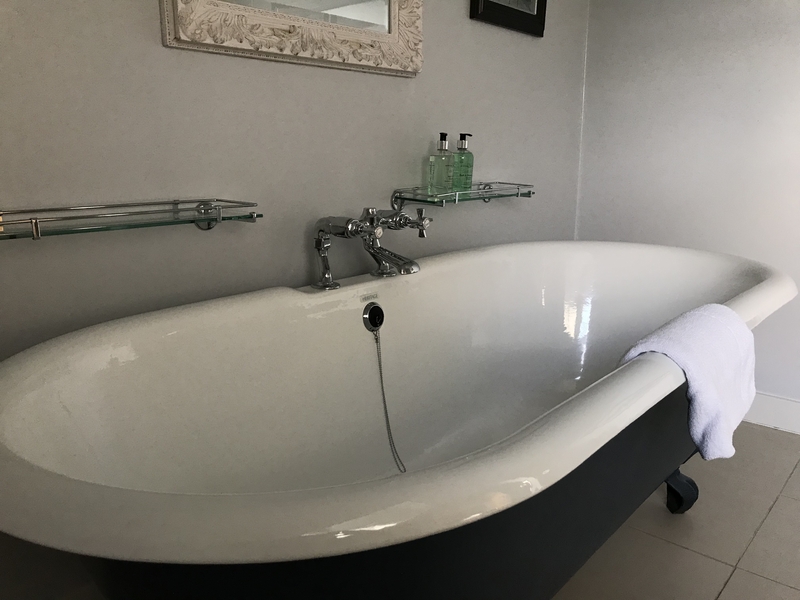 Rest assured that every little extra has been thought of to make your stay perfect. 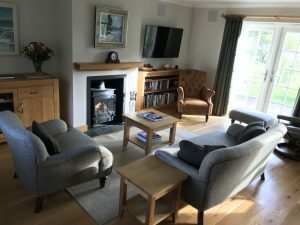 There are vases of fresh flowers, a good supply of quality magazines and wide selection of books to choose from should you decide to have a lazy morning or afternoon. A Nespresso coffee machine is also on hand with capsules available to purchase, if your own supply runs out. An impressive 11Mbps plus broadband connection allows you to review the weather, download some walks and fire up a Netflix box set to enjoy. 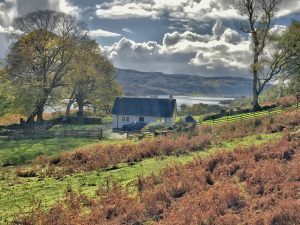 When staying in a wee Scottish cottage there can only be one series to settle down and watch – Outlander. 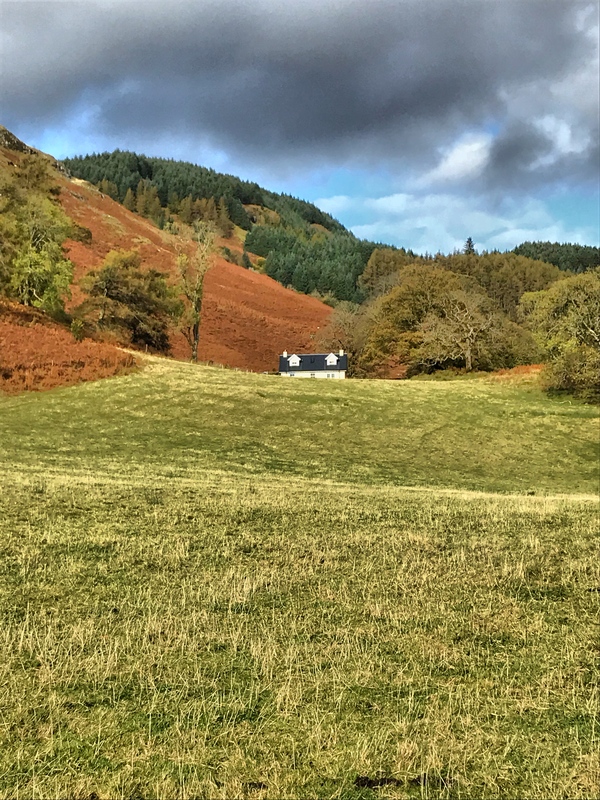 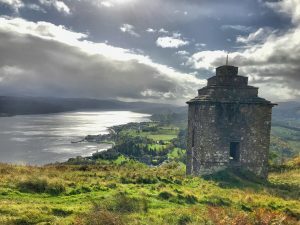 Season 2 was our choice this time round and like our accommodation didn’t disappoint – but you’ll never guess what happened at Culloden! 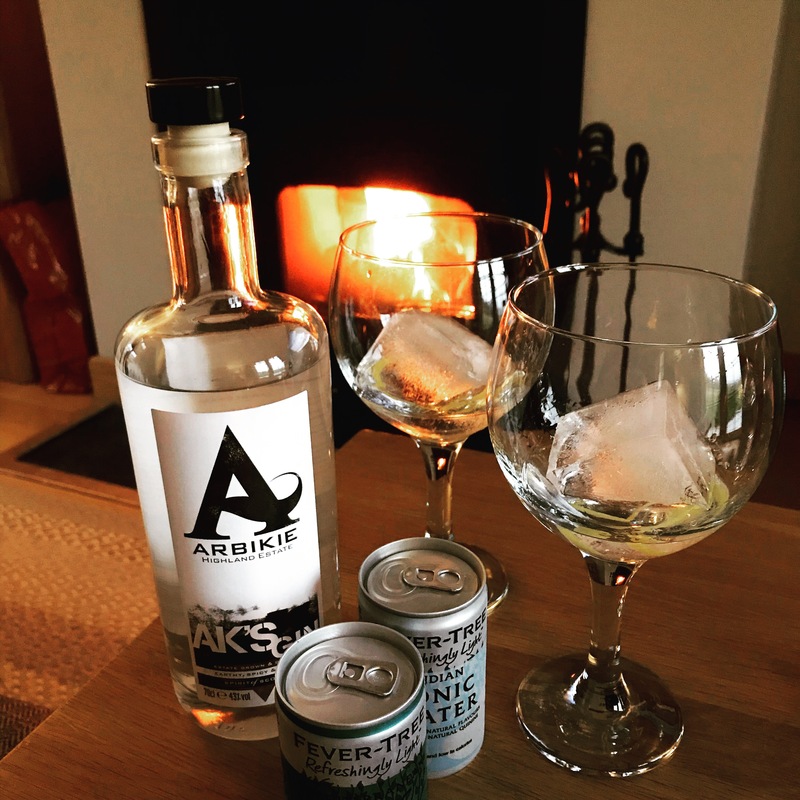 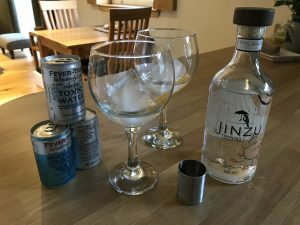 No box set would be complete without a nice Scottish Gin to accompany it, Arbikie AKs was this week’s choice (again), along with an impressive newcomer for us, Jinzu, both washed down with a wee Drambuie to finish off the evening. The roaring log fire was the perfect backdrop for a cosy Autumn evening. 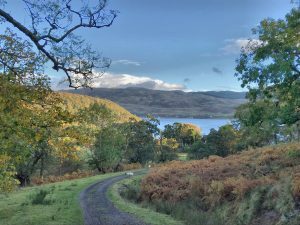 There are plenty of walks directly from the cottage if you don’t want to drive, including Melfort hill to the rear of the cottage. We often meandered our way through the bracken, a scythe would have been handy mind you in some places, and joined the track for the Creag an Sturra circuit. 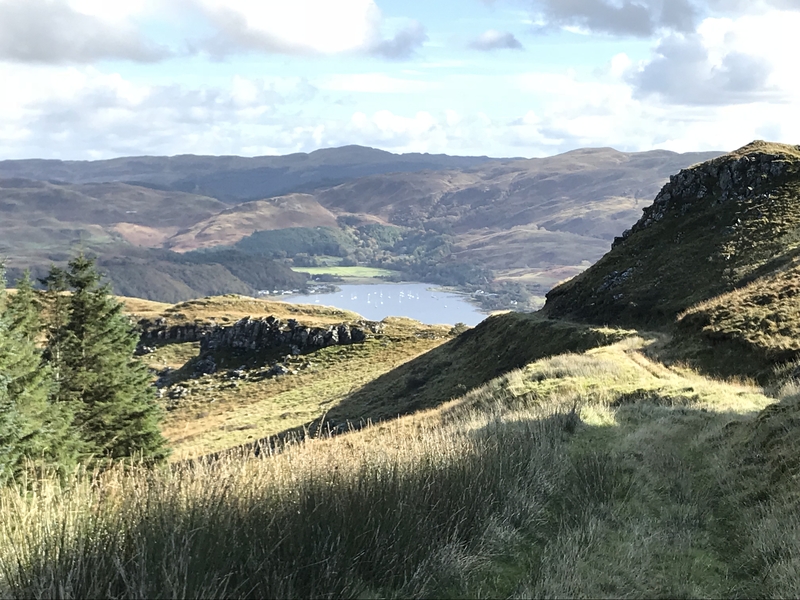 It was supposed to be a ‘short cut’, but the steep ascent in some places is for the more adventurous and definitely took its toll on our legs. Worth it though for the views! 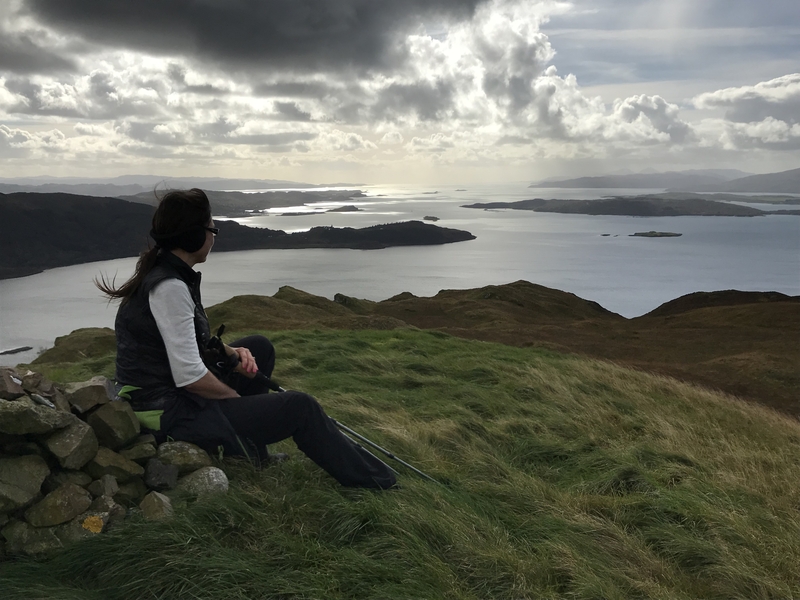 We would also highly recommend the adjacent An Coire Lochan Circuit for some incredible views of Jura, Scarba and Lunga and everything in between! 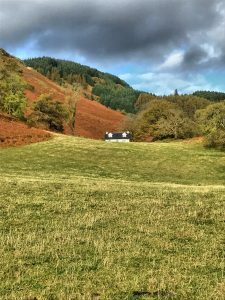 The cottage has really good information on local walks, places to visit and things to do in the surrounding area. 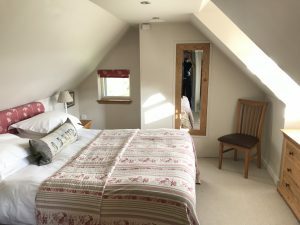 Just find what suits and off you go – but don’t underestimate the benefits of some lazy mornings or afternoons just chilling in the cottage. 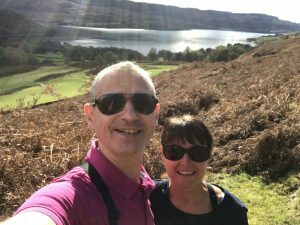 We managed this every day and have to say was just what we needed to recharge the batteries. 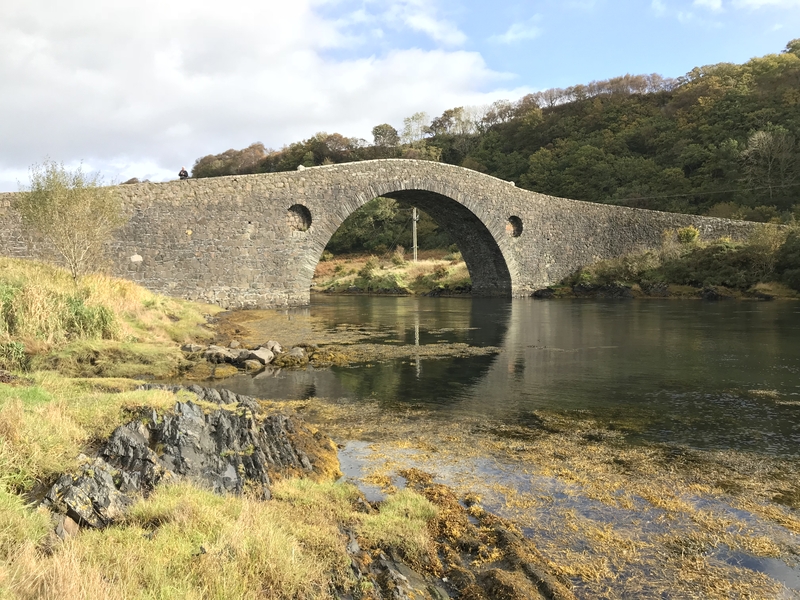 If you do venture further afield we’d recommend exploring Seil Island and of course crossing the ‘Atlantic’ via the historic Clachan Bridge. 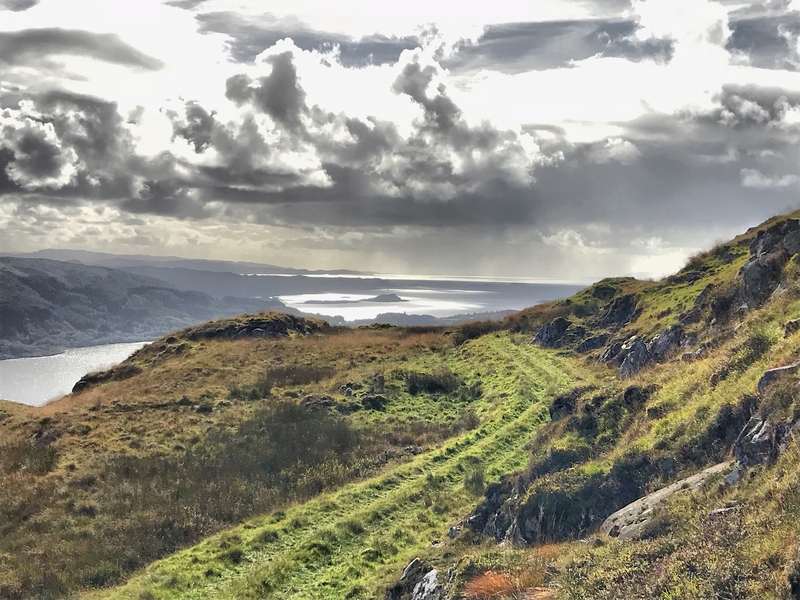 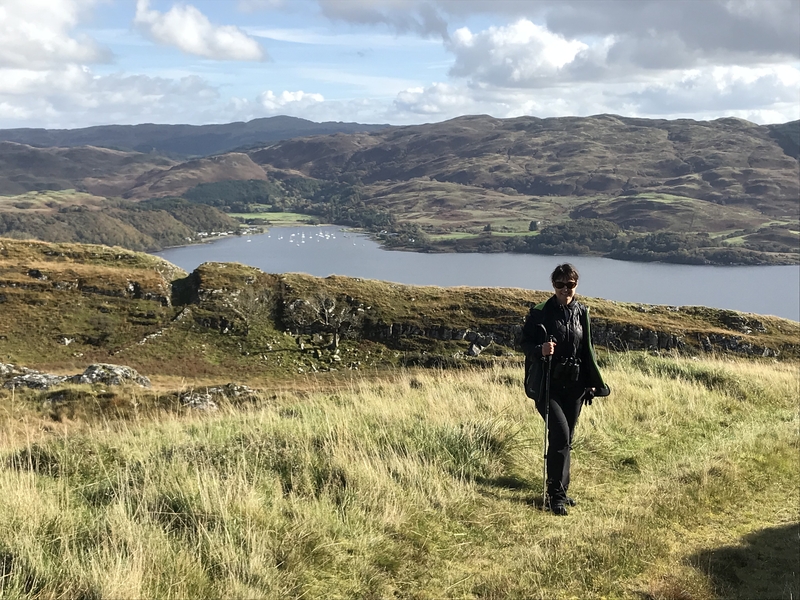 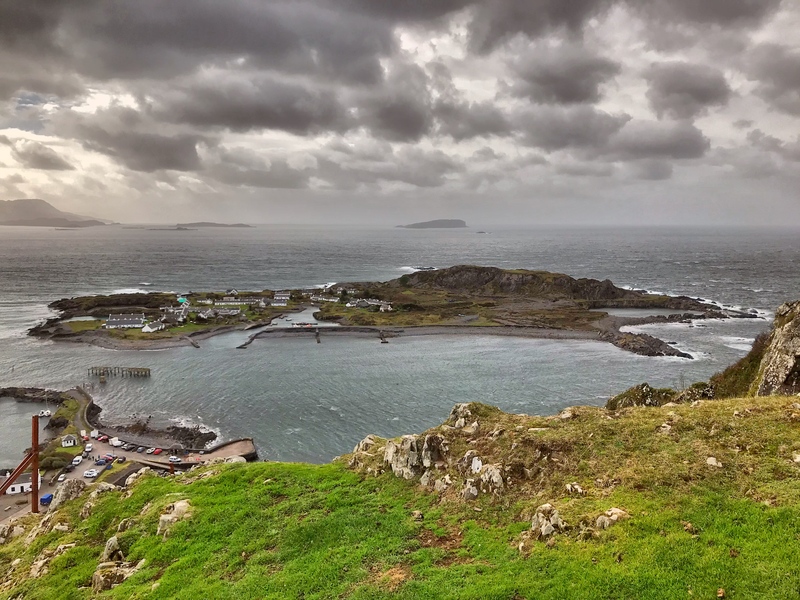 Here you can visit Ellenabeich and climb the nearby hillside to see stunning views of nearby Mull and the slate island of Easdale. 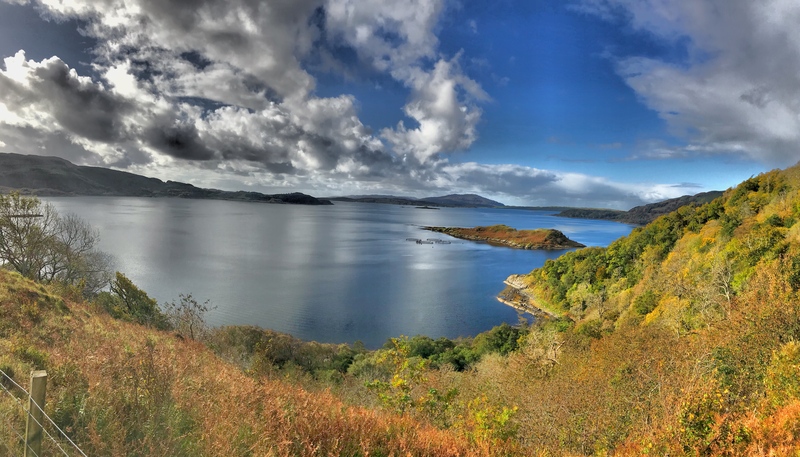 Further south the Cuan Coast and Moor Circuit really is worth a try. 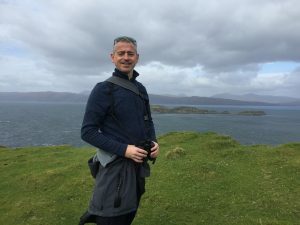 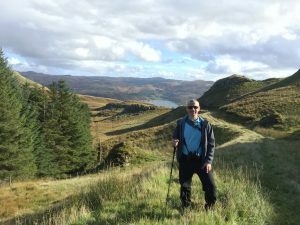 Wildlife sightings during our stay were sporadic, however, we managed three of the big five, catching a few curious seals in the Fearnach Bay, some deer up near Seil Island and a Golden Eagle swirling above Melfort Hill. 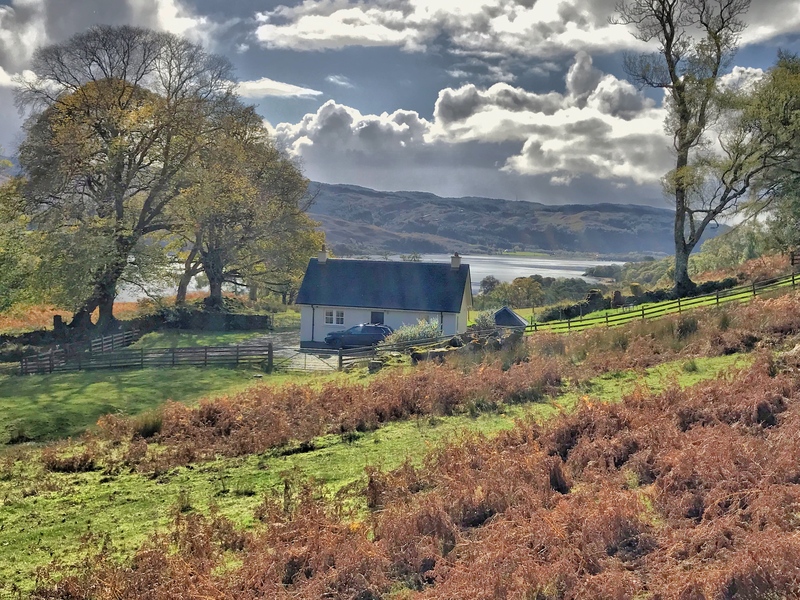 Crosple Cottage is the perfect romantic hideaway, located in a secluded spot nestled on a hillside and just 300 meters from the shores of Loch Melfort. 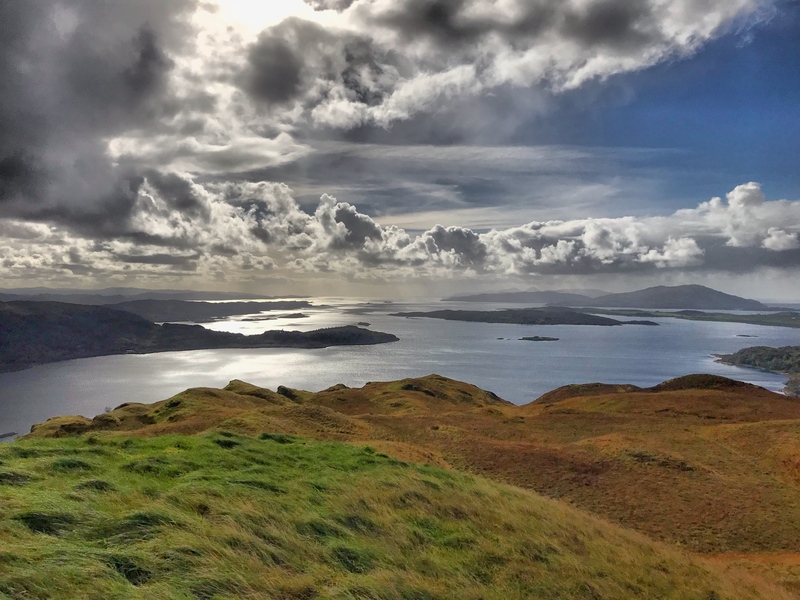 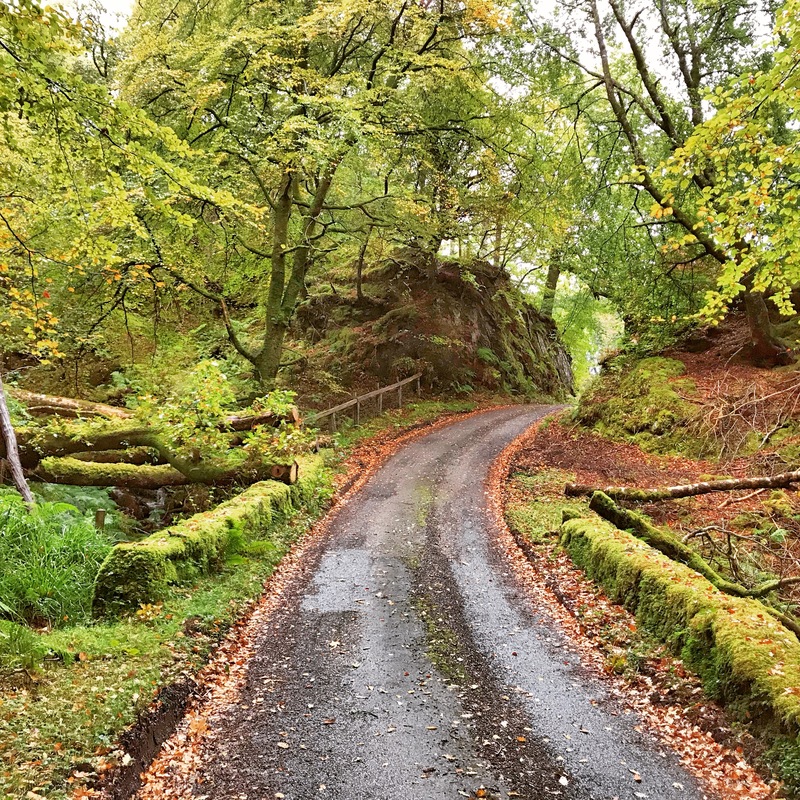 Just remember and pull yourself away from the cosy log fire to explore the beautiful Argyll scenery. 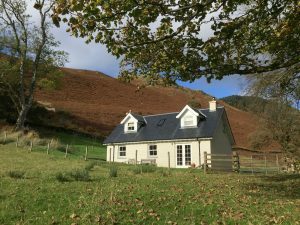 Rory Campbell Gibson and his wife Jennie have created something unique with Crosple Cottage, their second self-catering property situated on their farmland on the Melfort Estate near Oban. 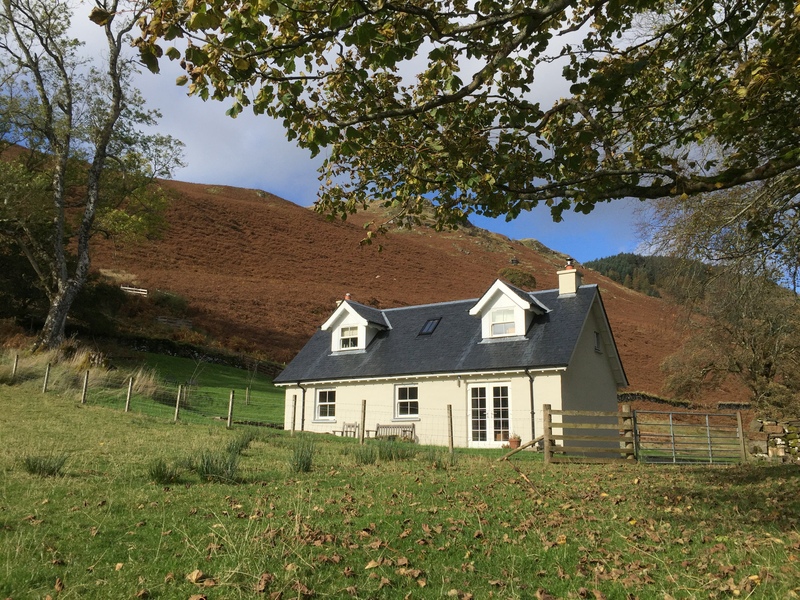 Crosple Cottage and their first project, Fearnach Bay House, which is equally as impressive, were built by Rory himself and decorated internally by Jennie. 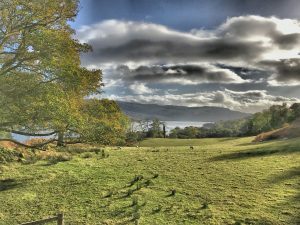 We hadn’t appreciated until the end of our break that Rory is also an artist and many of his pieces adorn the walls of Crosple Cottage. For someone that has only taken up painting in recent years he has a real talent – see for yourself here. Rory and Jennie sought to create accommodation to appeal to those who were looking for luxury self-catering accommodation and a holiday experience in a picturesque setting. 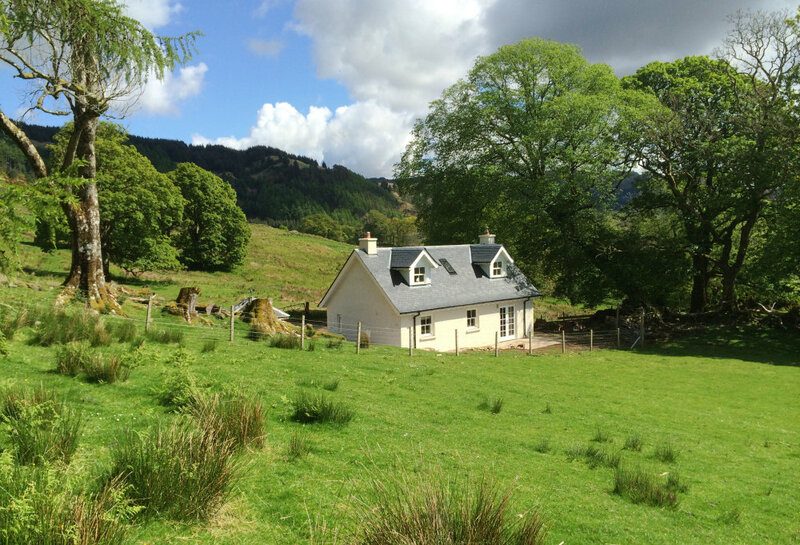 They have no doubt achieved this here at Crosple Cottage and we hope to try Fearnach Bay House some time soon. 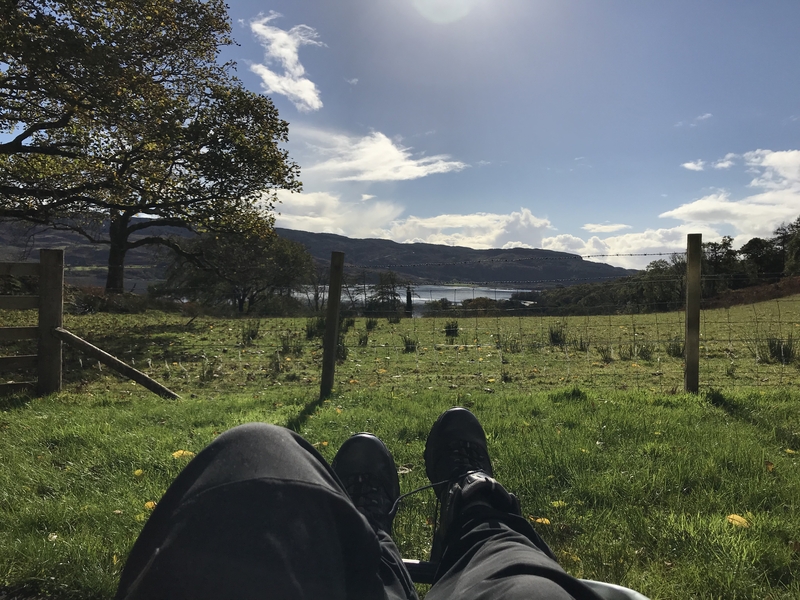 We really can’t stress how relaxed we felt here in our very own secluded Argyll hideaway and we would highly recommend a visit.